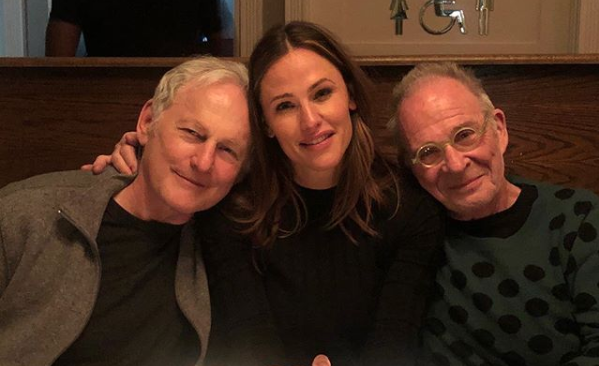 Jennifer Garner Reunites With Her ‘Alias’ Family Victor Garber & Ron Rifkin! Jennifer Garner has gifted us with yet another “Alias” reunion! The former CIA operative got together with her “Alias” pals Victor Garber and Ron Rifkin in New York City on Sunday and shared the sweet dinner date with her Instagram fans. “Former castmates, favorite dinner dates, forever playmates,” Garner wrote alongside the sweet picture, which was taken by Garber’s husband Rainer Andreesen. Sunday in NYC with Michael Vartan. Another joyous Alias reunion. The gift that keeps on giving.